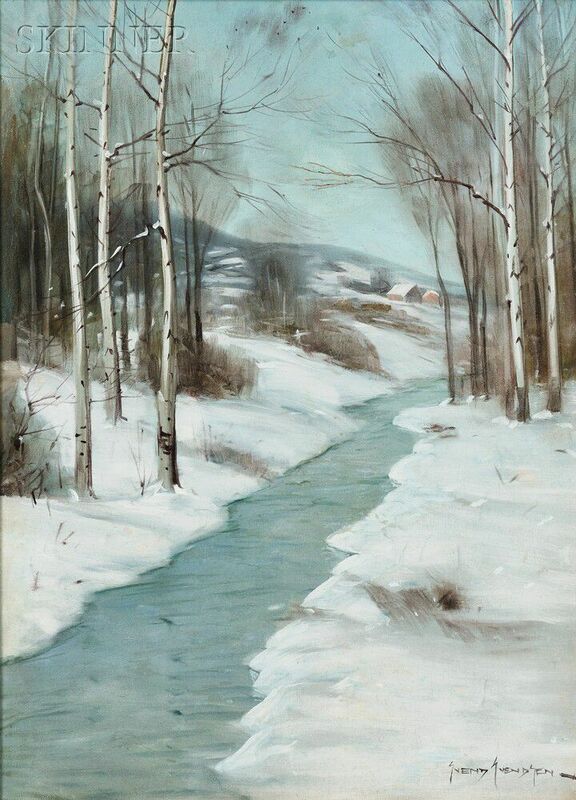 Stream in Winter. 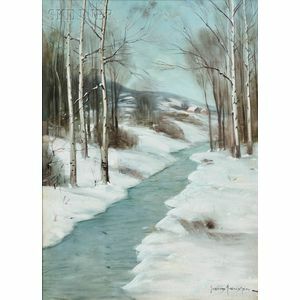 Signed "SVEND SVENDSEN-" l.r. Oil on canvas, 23 x 17 in., framed. Condition: Lined, retouch, minor surface grime.